I came across such questions when wandering forums, so I decide to write this article to help you find the best portable security cameras and systems ONLY for your specific requirements. You will find the best portable IP security cameras and systems based on your own needs. If you want a portable security camera with local storage for your construction sites or empty houses without Internet, a portable security camera with DVR or NVR tops your checklist. In a portable surveillance camera kit, the NVR and portable security video cameras will connect with each other based on their own proprietary internal Internet. Without your router network connection, you can still monitor your job sites or vacant houses 24/7. If you just want a portable security camera recorder for motion detection recording, you can buy one with SD memory card. Videos and images will be recorded to the SD card where there are motion events, so you won’t miss anything important. Big Hint: Get more details on portable CCTV cameras with micro SD memory card here. Videos recorded by portable security cameras with local storage are helpful to review the scene of an accident. For example, if someone gets injured on the job, you can review the recorded footage to determine how the accident was caused, who caused it, and access the liability. What are some portable surveillance and security system suitable for travelers? What portable surveillance cameras should I get for my car? Portable mini wire-free security cameras should be your NO.1 choice when traveling. This kind of portable wireless IP camera monitor is normally battery powered cameras, so you can take it with you easily. You can place this portable CCTV camera recorder in your hotel room to see whether there are any unwanted people visiting your room without your permission. Battery powered portable security cameras are also very suitable for your in-car security. You can place a portable WiFi IP (spy) video camera in your car to catch hit-and-run events. Portable mini security cameras are also ideal for renters. If you rent an apartment, you can place a portable wireless surveillance camera without drilling holes or snaking wires. If you need to move to a new place, you can take it with you anywhere you go. Cellular battery powered security camera is one of the most portable security cameras for you. Take Reolink Go as an example. 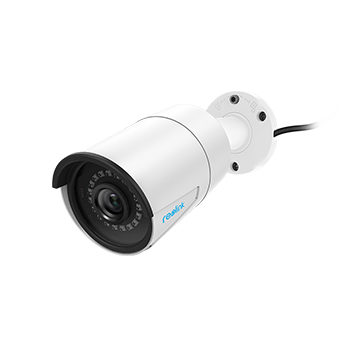 This type of security cameras enables you to get remote access even without Internet connection and power supply. You can take this security camera wherever you go! Take a look at the below video to see how portable and versatile the cellular wire-free security camera can be. Best portable HD IP network cameras can see clearly both day and night. 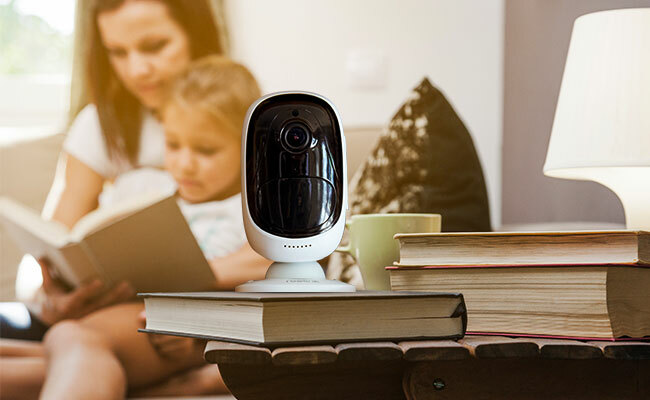 If you install a portable pan tilt IP security camera with night vision in your baby’s room, you can check whether your baby is having a sweet dream without getting up. When installing a portable outdoor surveillance video camera on your porch, you can check who and what is approaching your home, and decide how to act. Portable infrared security cameras can offer you much clearer night vision images compared with traditional night vision security cameras. Wanna buy portable outdoor security cameras for your home/small or big business? Well, remember to buy IP65 or IP66 security cameras and systems. 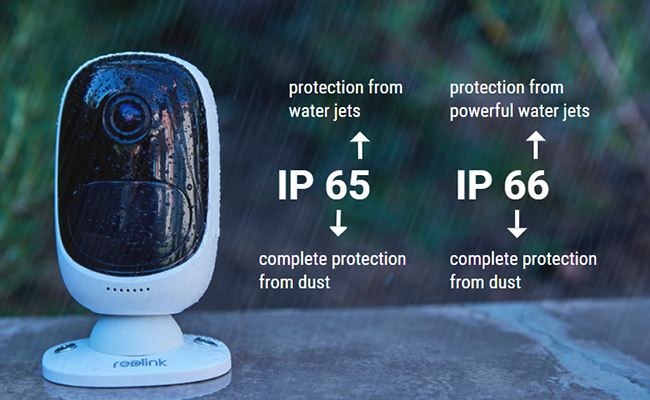 IP65 or IP66 security cameras can withstand (powerful) water jets dust so you can monitor the outdoor environment of your home/business without worrying about rain or shine. 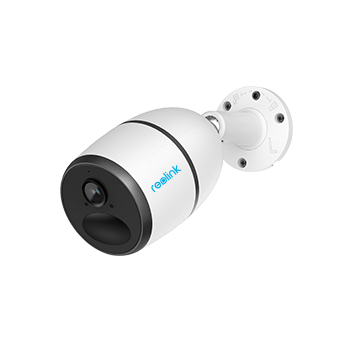 Try this portable PoE IP66 security camera Reolink RLC-410. It can stand powerful water jets and dust. You can install this flexible security camera outdoors & indoors, with only one PoE wire connecting the portable security camera with your router. When you search for portable security cameras for your iPhone or Android smartphones, make sure that you can use the portable security camera app software to access this camera. Luckily, most portable surveillance cameras and personal surveillance systems can be accessed with an app installed on your mobile phones now. Bump: You can check this article to get free portable IP security camera viewers/software. 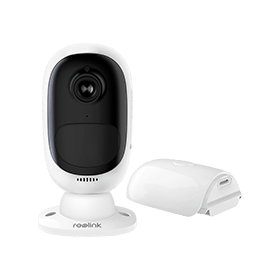 Reolink Argus® 2 is a smartphone based portable security camera. A lot of portable IP security camera testers and editors have reviewed Reolink Argus® 2 and speak highly of this camera. You can check how the authorized editors assessed it below. Best Place to Buy Portable Security Cameras in Texas US, UK, Canada, Australia, etc. Where can I buy portable CCTV camera systems in Texas, UK, Canada, Australia, Malaysia, Singapore, India, etc. online? The best place to buy portable CCTV surveillance cameras is the official online store. You can get the best product warranty and tech support here. No matter what kinds of portable security cameras you want, portable rechargeable or non-rechargeable security cameras, expensive or cheap portable security cameras, big or mini portable security cameras, you can buy them on security camera online store. Well, you can also buy portable security cameras on Amazon, Costo, Walmart, Lowe’s etc. This entry was posted in Buyer's Guide and tagged easy to take, flexible, portable, security cameras. Do Home Security Cameras Deter Crime? Definitely YES!